Randy Bryce, one of the Democrats hoping to take on House Speaker Paul Ryan, raised $1.2 million at the end of last year, his campaign said. Bryce, a union ironworker and military veteran, was asked by Katy Tur on MSNBC in an interview Monday why he's raised so much money. "People are seeing this wave. This resistance is very real," Bryce said. "People have had enough with where the president is taking us, and we're tired of not having a Congress that's acting as a check and balance to stand up to him." A few days later, Ryan came out with his numbers. He reportedly raised $1.4 million during the same time frame, putting Ryan and Bryce at about an even pace. In the fourth quarter, Team Ryan raised nearly $5 million. The Janesville Republican hasn't formally announced whether he'll run for another term representing the 1st Congressional district. Ryan's re-election campaign announced it had nearly $10 million on hand at the end of 2017. Of the $1.4 million raised by the campaign in the fourth quarter, more than $270,000 was raised directly in Ryan for Congress. The rest came from transfers from the speaker's joint fundraising committee. In other words, he's using his position as Speaker of the House as a fundraising tool. Ah, but there's more, friends. There's always more. “It looks like House Speaker Ryan is quickly being rewarded for passing this legislation that overwhelmingly benefits the Kochs and billionaires like them,” Adam Smith, spokesman for campaign finance reform nonprofit Every Voice, told the International Business Times, which first reported the Koch contributions. The Koch donations were paid into Team Ryan, which raises money for the speaker, the National Republican Congressional Committee and a PAC run by Ryan. On the same day, Charles and Elizabeth Koch also each donated $237,000 to the NRCC. Without the dark money, Bryce is keeping pace with Ryan, and could actually be doing better. 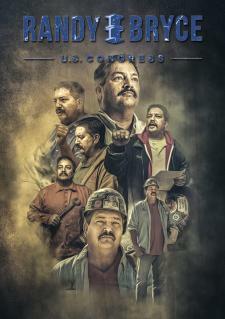 And Ryan’s Democratic challenger, ironworker and military veteran Randy Bryce, made sure that these massive gifts and the context around them did not go unnoticed. Paul Ryan passed a 1.5 trillion dollar tax bill that takes from working people to give to the super rich. Ryan would be hard-pressed to claim that these donations had nothing at all to do with the passage of the bill, considering the Koch brothers spent millions on the effort to sell the scam to the American people. It needs to be also pointed out that the Kochs and Ryan's other benefactors are using our own money against us, seeing how they will gain exponentially more money from Ryan's tax plan. Thanks, Citizens United! If you can, please help Randy keep getting his message out so that he can kick Ryan out. Give whatever you can to help the cause of regaining our country from the plutocrats and oligarchs that are pulling Ryan's strings. Don't let Ryan and his dark money overlords buy another election.